Today we’ll discuss the things that you should never start a food truck without. No mobile food truck business succeeds without a great chef, great locations to operate from and a great concept. Not only do you have to have all three of these points buttoned up, but they all have to work well together. The locations you park your food truck should be where you can find your preferred customer demographic which need to fit into your concept. 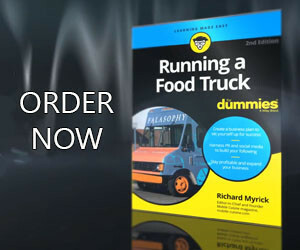 Your chef, or kitchen staff must fit your food truck concept. Without this your food truck will constantly be dealing with the most common word in the food business: Drama!!! Some mobile entrepreneurs will say, “Well, location doesn’t matter because I’m going rule social media which will allow me to create a destination food truck business.” The fact is that these owners say that when they don’t have access to good parking locations. You need to understand that accessibility is everything. The more accessible you can make your food truck, both in terms of location and pricing, the greater your chances of success. Look at the most successful food trucks across the country: They’re the most accessible in terms of location, brand, and price point. These food truck owners have booming businesses because they’re incredibly accessible on all levels. Just one of these items out of kilter could lead to your quick demise as a mobile vendor. Because of this make sure when you are developing your food truck business plan, you take each item into account.